Enjoy your holiday spiritual, serene, environment and receive therapeutic healings in the Ayurvedic Doctor supervision: to subscribe 25% discounted price type ‘REG<space> itinerantur<space>your mobilenumber’ and send an SMS to 77000. You’ll feel more relaxed the moment you arrive in Sri Lanka, a spiritual, serene, and culturally beautiful destination. Every day of this journey is focused on Healing and rejuvenation—you’ll take sunrise meditation classes at ancient temples, receive therapeutic healing in Ayurvedic Doctors hand, enjoy walking meditations through sparkling green paddies, and learn traditional Indian and Sri Lankan (Ceylon) healing remedies such as Ayurveda, Sidda and Yoga. This in-depth 8day healing tour also offers a rare opportunity to experience the different healing methods practices in Sri Lanka. Highlights include Theravadha Buddhist visualization meditation, ceremonial blessings, traditional herbal therapies, mineral spring therapies etc. During the tour, over the most innocent and friendliest religion and culture on Earth, we’ll renew your body, mind and soul from the urban chaos. Meditations, healing therapies, local communities and other local Sri Lankan experiences will be part of this journey, joining well-being, nature and self-knowledge. We also offer special designed tea tours to Sri Lanka with Tangerine hotels. Arrival to Sri Lanka, Your chauffeur/ guide will meet you at the airport, and drive you to Kandy, paying a visit to the Pinnawala Elephant Orphanage en route (Depends on your Arrival flight time). Providing a caring home for abandoned and wounded elephants, it is a much loved destination for tourists and locals alike. Here, adults and baby elephants from around Sri Lanka thrive, and a captive breeding program is also proving to be highly successful. The feeding and bathing times are generally the ideal times to visit when you can observe these gentle giants at their best. Afternoon: Enjoy a city tour of Kandy – the last kingdom of the Sinhalese, taking in the sights of Upper Lake Drive and the Market Square on the way to pay homage to one of the most sacred religious sites in Sri Lanka. The Temple of the Tooth or Dalada Maligawa is believed to house the ‘tooth relic’ of the Lord Buddha. A walk around the town will let you indulge in some souvenir hunting with intricate treasures in wood, copper, silver, brass, ebony, bronze, ceramics, lacquer work, handlooms, batiks, jewelry and reed-ware to choose from. Evening: Round off your day with a cultural show, where the vibrant costumes and pulsating rhythms of traditional dance forms from centuries old rituals will enthrall you. Morning: After breakfast, head ‘up country’ and the city of Nuwara Eliya, stopping by at the Peradeniya Royal Botanical Gardens en route. 147 acres of lushness with over 5000 species of trees and plants many of which are rare or endemic; a spice garden and an Orchid house are yours to explore. Continue to Nuwara Eliya, visiting the Ramboda waterfalls and a tea factory along the way. Afternoon: The old colonial outpost still referred to as ‘Little England’ Nuwara Eliya certainly lives up to its name. Perched 6200 feet above sea level, the climate too, adds to the illusion of one stepping into an old English town, where neat hedges, quaint cottages and beautiful old buildings stand as serene as they did well over a century ago – the magnificent Grand Hotel presiding over them all. There is, of course, an old golf course as well as horse racing events to complete the picture. Morning: After breakfast return to Colombo via Kithulgala. If you feel adventurous, the incredible experience of White Water Rafting awaits you at Kitulgala. The 5km on the picturesque Kelani River run covers 5 major rapids and 4 minor ones. You will be in good hands with safety gear, modern rafts, and a comprehensive safety briefing given by our white water rafting instructors beforehand. Those who prefer to keep their feet dry can take it easy, relax and admire the beautiful views. Evening: Take in the sights and sounds of the capital city of Colombo, from the busy commercial hub to the tree-lined suburbs. Here, colonial architecture vies with glass skyscrapers and the past comes alive in buildings that have withstood great winds of change. There are bargains to find, history to discover and much to explore. The practice of Ayurveda in Sri Lanka dates back thousands of years, and even today ancient remedies and methods are practiced throughout the country much more than authenticated western medicines, and all our facilities meet stringent requirements laid down by Bandaranayake Ayurveda Research Hospitel of Navinna. Eevery treatment is specially created by practising doctors and administered by trained professionals. Total holistic healing is yours with expert care, special cuisine, therapy and meditation in an utterly tranquil setting – a perfectly divine experience to treasure for life; for when you discover us at many parts of the country facilitating Ayurvedic Healing plus Vacation in one single package. Sri Lanka is an magical Island which is situated in the Indian Ocean close to the South of Indian Subcontinent.It is also being called “The Pearl of the Indian Ocean”, “Taprobane”, “Ceylon”,for many centuries.The compactness and great variety of attractions in the country will offer great advantage to every traveller ahead of any other country in Asia like Thailand, Malaysia, Indonesia, India, Phillipine, UAE, Singapore or even Maldives. Sri Lanka is located between 5″ 55′ & 9″ 55′ North Latitude and 79″ 42′ & 81″ 52′ East Longitude. It’s height from North to south is approximately 447 km with a total land area of 65,600 sq.km. The average temperature of the low lands ranges between 25-30 degrees Celsius. While Sri Lanka’s capital city is known as “Sri Jayewardenepura Kotte”, Colombo is the commercial capital as well as the largest city. 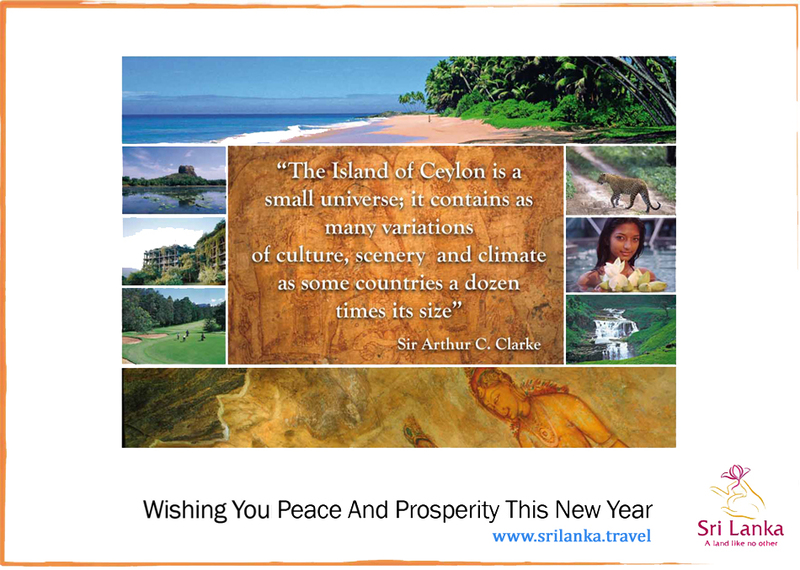 Sri Lanka is gifted a tropical climate by the MotherNature and offers every cological, historical, cultural and environmental attraction which may not be available in many other countries in Asia. Rathnapura – visit to Gem mines and Rathnapura gem bureau museum, laboratory and art Galleries, rubber factories. Visit to the old temple Maha saman Devalaya. Mountain trekking – via Mahawela estate to see natural forest with waterfalls and swimming pools interesting Fauna and Flora including beautiful Butterflies. Tea Trails can be arranged in lush tea plantation. Sri Lanka 2015 from Ondrej Dolezal on Vimeo. A visit to urban rain forest park called pompakelle (15 hectares) proceed to kalawathi hotel for ancient ayurvedic herbal treatments. This is the ancient human rejuanation thereby been practised for centuries in India and Sri Lanka. The Peak Wilderness Range has within it Adam’s Peak (2,224 m) the most famous peak in Sri Lanka on account of its religious significance. The range is important as it comprises the last remaining altitudinally graded forest from the lowlands to the mountain zone. The Pilgrim trails to the summit provide an excellent way of seeing the montane forest which extends to within several hundred meters of the summit. The main trail from Dalhousie has steps and is lit up at night during the pilgrim season from December to April. History tour – One day excursion through Panadura, Rathnapura, Rakwana, Balutota pass with it’s dramatic hair pin bends and most beautiful scenic landscapes, visit the Buddhist monastery at the foot hills of Sinharaja rain forest turn of at Balutota circuit bungalow, then proceed to suriyakanda village and turn to kolonna and Maduwanwala to see an early 18th century residences of kandyans. Nature tour – two day tour to Sinharaja primeval rain forest. Sinharaja is a thick wet forest, is a very valuable forest for scientific researches tudies and observations by bird watches and biologists. A World Heritage Site since 1988 this is arguably the most important site in Sri Lanka and is internationally important for its biodiversity. Condition that offer by sinharaja rainforest may have a particular attraction to the adventure youngsters who will hot grumble about leitch-bites and the difficult terrain for walking as well as driving. Safari – One day excursion to the udawalawa national park. This is very attractive safari that can be combined with a visit to gem pits in Rathnapura. Udawalawa national park is of undulated land with hilly outcrops, grass lands, riverine forest and a wide variety of animals of which Elephants, Deer, Monkeys and submerse are among those frequently seen large herds of elephants are seen grazing in the evening. The avian life is plentiful with birds of prey hawks and eagles being most common. The vegetation in keeping with the geographical location consist of both dry zone and wet zone forest. This is an ideal safari for those who looking for a safari within a few hours drive from the resort and their is a fair chance of observing a variety of wild life in a single day. Kitulgala Forest Reserve – Established as a forest reserve to protect the watershed of the Kelani River it is home to many of Sri Lanka’s endemic flora and fauna. The forest is secondary lowland rainforest on the lower slopes with the forest extending up to the higher elevations, contiguous with the Peak Wilderness.This tour can be extended by combining whitewater rafting, bird watching, rain forest trail, and waterfall trekking. Kalametiya – A wetland with two brackish lagoons, mangrove swamps and open areas with pockets of scrub jungle. A very important site for migrant shorebirds. Bundala National Park – Similar to Yala National park comprising scrub ungle bordering the sea together with large shallow pools. The beaches are an important nesting site for turtles. Horton Plains National ark – A highland plateau comprising montane grassland and elfin forest. It is contiguous with the Peak Wilderness Sanctuary. The second and third highest peaks in Sri Lanka are found here. Knuckles Range A remote mountain area which hosts endemic fauna and flora confined to a few mountain peaks in the region. Apart from tours and excursions listed above tailor made excursions and tours can also be arranged according to the individual taste at the resort.